The Nutcracker Festival of the Budapest Opera House launches at the end of November or early December. 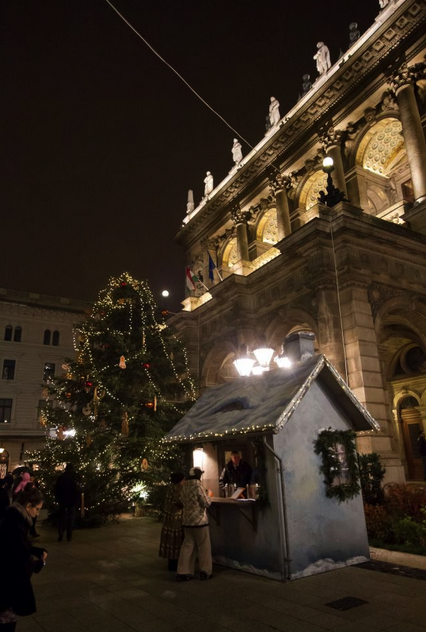 There is a 30 meter majestic Christmas tree set up in front of the Hungarian State Opera House as well as a small wooden booth selling hot drinks in the afternoon. 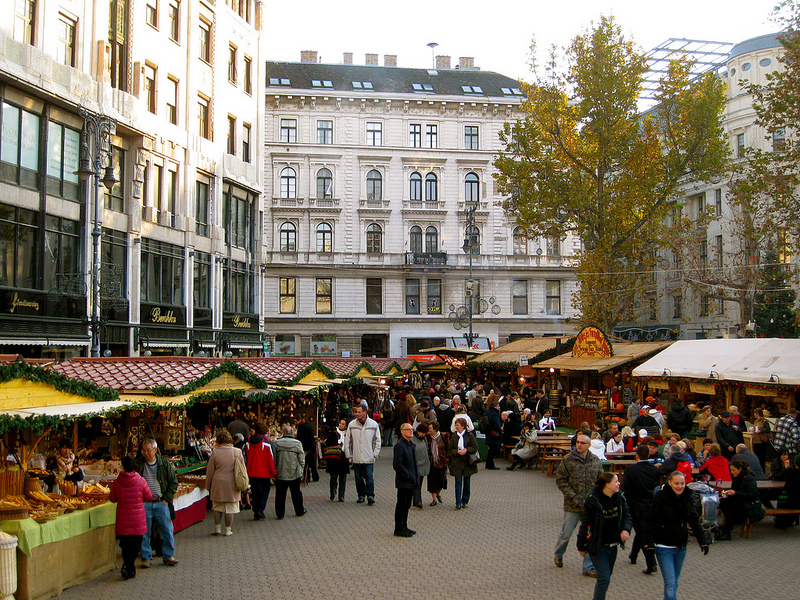 The Nutcracker Festival of the Budapest Opera will last until the end of December. There are several open air concerts scheduled for the festival, which are free. In addition to the official chorus of the Budapest Opera, including its children’s choir, further 17 choirs (like the School Choir of St. Stephen’s High School, or the School Choir of the Bela Bartok Secondary School) lined up to perform Christmas concerts in front of the Budapest Opera House (until December 23). The choirs will sing in front of the theater, to the right of the word Sphinx statue. The date of the official opening ceremony of the Budapest Nutcracker Festival changes from year to year. Please check on the site of the Opera House the exact date this year. In the elegant and stage prop like Christmas Booth of the Budapest Nutcracker Festival you can buy mulled wines, or hot tea. This is a charity booth. Besides the hot drinks, you can buy little gifts from Russia and France, the two outstanding countries of ballet. All the proceedings of the charity booth will be given to the Ecumenical Organization (Ökumenikus Segélyszervezet) to help families and children living in poverty and need. 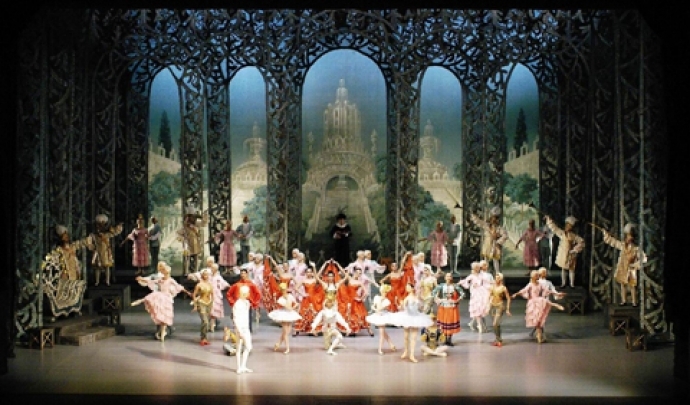 The Nutcracker ballet has been performed in the Budapest Opera House for over 60 years now with great success, and international acclaim. On Karoly korut (Karoly ring road) and by the Opera House you can see special installations. Old style cylindrical news posts turned into artsy displays: the decade old props and figures of the Nutcracker shows of past years have been included in the transparent posts to call attention to the Nutcracker Festival, like the Mouse King, the Nutcracker, the Ballerina, Drosselmayer, etc. 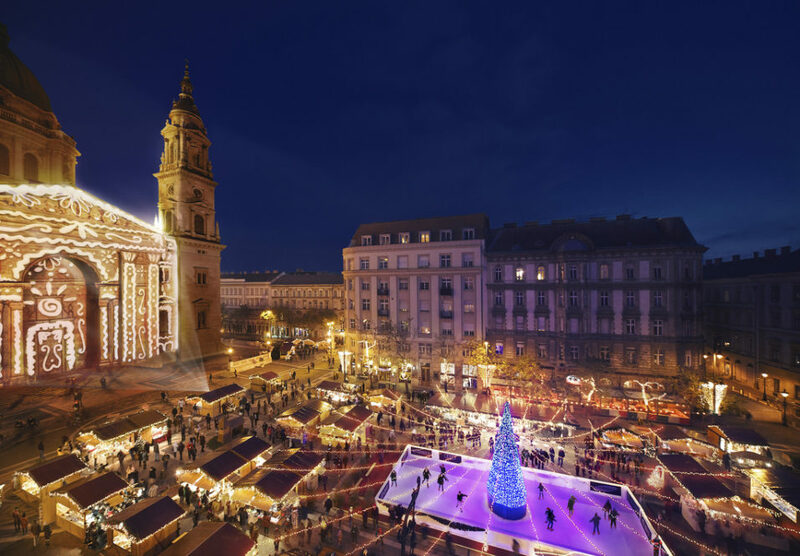 On some evenings of December , at the open air Christmas concert (dubbed the Kiskaracsony or Little Christmas concert) more than 1,600 people with disabilities have been invited to participate in the Budapest Christmas festivities and the Nutcracker Festival of the Hungarian State Opera House. The concerts of the Nutcracker Festival are around 6 pm, and from 5 to 6pm, you can buy your hot drinks from some of the singers, artists and ballet dancers of the Opera House.